In order to get that you will need first Certified Registration Documents from Companies House. To obtain that we charge you just the fees of Companies House of GBP 30 (if the company is formed by a third party we charge an additional fee of EUR 20). 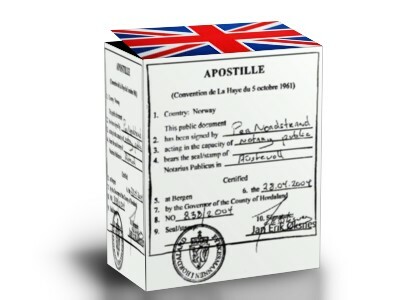 The Foreign Office charges another GBP 30 for the Apostille and an amount of GBP 14,40 for sending the documents with DHL (Europe only).